If auctions are anything to go by then the commercial property market in KwaZulu-Natal isn’t in too shabby a state. On the contrary, if the buoyancy of just one firm, In2Assets is a gauge, then there isn’t enough property out there for investors. In2Assets was formed after the unfortunate dissolution of Rael Levitt’s Auction Alliance. 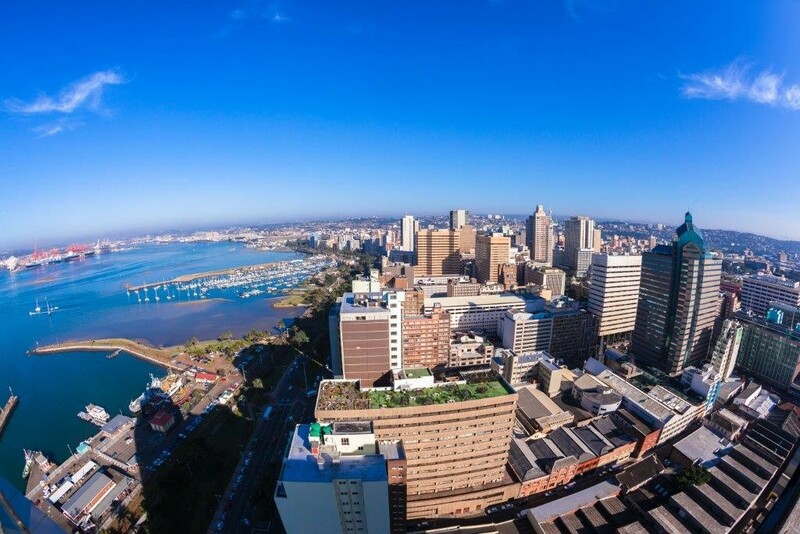 Key Auction Alliance KZN stakeholders and staff, including Hein Hattingh, Rainer Stenzhorn, Andrew Miller and Rowena Moodley started the new enterprise with buy-in from Umhlanga law firm Strauss Daly who has offices throughout Southern Africa. That was two years ago and the company hasn’t looked back, having held 48 combined property auctions and landing over R800 million in sales. Stenzhorn said the most recent auction, last month, was the company’s best so far, attracting 40 registered buyers for properties ranging in price from a few million Rand to one with a price expectation of R45 million. Stenzhorn said focus was the name of the game. “We are not an auction company primarily. We don’t sell pots and pans. We are property specialists using auctions as a medium predominately for commercial & industrial property as well as farms. The response is actually amazing. The best chance a property has of selling is on auction, if it hasn’t been marketed before. Stenzhorn says auctions have been successfully used in a variety of circumstances. “We sold the “Ark Royal”, a dilapidated block of flats in Mahatma Gandhi/Point Road based on a court order. The property was officially condemned by the municipality and was full of squatters. The High Court appointed as Curator to take control of the building. This was the first case of its kind in South Africa. All attempts for years by estate agents to sell the flats did not materialise, simply because every buyer put conditions into a contract that could not be guaranteed by the sellers, which automatically collapsed every sales transaction. In an auction, the seller sets the terms and conditions. Stenzhorn said buyers were not averse to paying commission on top of the selling price. He said the biggest challenge in any property deal was counseling sellers with unrealistic price expectations that the market couldn’t meet. The market dictates the price. Stenzhorn said In2assets often rejects a property if the condition of the building is completely out of kilter with what the market will pay. Some industrial areas, Stenzhorn said, have changed because the economy has changed. But Stenzhorn said apart from some shabby areas and older building with too high price tags, Durban and KwaZulu-Natal’s market generally is booming. More and more commercial property brokers are bringing buildings to In2assets. Recent press articles gave testimony of the fact that industrial properties in KZN outperformed all other Regions in South Africa. A property in Umhlanga’s new precinct, around Gateway, recently sold for R20 million exceeding all expectations. Another Umhlanga property at an earlier property auction attracted 24 listed buyers and sold for R35 Million on auction sale, which was 25 percent more than what was expected. Stenzhorn said this far exceeded the average rate for commercial property in the area. A 17 unit business park in the Highway area sold for R 25.5 million, also higher than market valuation at that time but was quickly turned around by clever new property Investors. Stenzhorn said auctions allowed for three sales scenarios: a sale before the auction, at the auction and after the auction. “The decision always lies with the seller and a perfect example is the sale of the Bergview Trading Cluster. Situated in Harrismith, it is home to one of the busiest petrol stations in the country, a hotel, various shops and fast food outlets as well as land for further development. Stenzhorn said about 70 percent of auction buyers were investors. Many people still have the perception that solely distressed and re-possessed properties are sold by way of auction. “To the contrary” says Stenzhorn “over 90% of our auction sales come from private property owners including Listed Property Funds. We do however also act on behalf of the major Banks in the Country”. We find that Property Investors and End Users find it convenient to find properties on our auction platform where transacting is frequently finalized on the fall of the hammer. Properties are always on public display and accessible to all Buyers. Our auction platform is the “real deal” and sets an equal playing field. Since opening two years ago, In2assets has opened offices in Port Elizabeth and Gauteng aggressively expanding to other area also. In2assets will within the next 4 months launch an exciting new product whereby residential property will be sold across Southern Africa which will not be by auction but on the most exciting and affordable way Buyers and Sellers have ever experienced before.